Sad news for fans of one of the popular creatures from “Game of Thrones” Season 4 — the cat won’t be back. Ser Pounce, Tommen Baratheon’s trusty feline friend, will not make an appearance this season on the show, Access Hollywood has learned. “No, he’s not,” Dean-Charles Chapman, who plays young King Tommen, said when Access asked at the Season 5 premiere about the cat not returning for Season 5. Apparently, the cat was a little mischievous behind the scenes last time around. “It was while we [were] filming. It’s a cat, so it was really messing about,” Dean-Charles said, when we asked about the feline’s behavior. 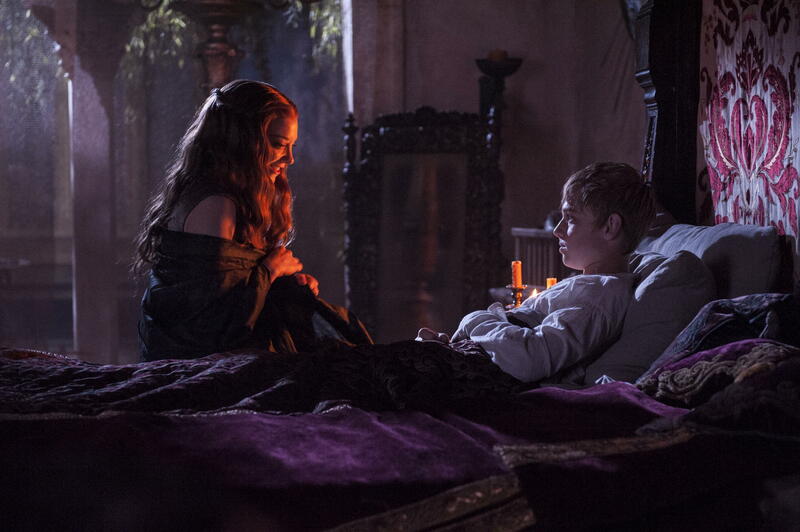 While sadly that means no more excellent internet memes devoted to Ser Pounce will spring out of the new season, Tommen has plenty of other characters to continue to bond with on screen, including Margaery Tyrell, who is set to become his bride. “It’s a pretty wedding,” Dean-Charles said of his character’s big day. And as for ruling Westeros, although his late older brother Joffrey Baratheon thought he knew how to be king, Tommen is smart enough to know he needs help. “He’s a good king, but he’s got to learn,” the actor told Access. “Game of Thrones” returns for Season 5 on Sunday night at 9 PM ET/PT on HBO.